Make the most of your time off the ship in Honolulu by spending a half day shore excursion immersing yourself in Pearl Harbor and the history of World War II. Get picked up from the port and then let the professional chauffeur whisk you away to this historical site. 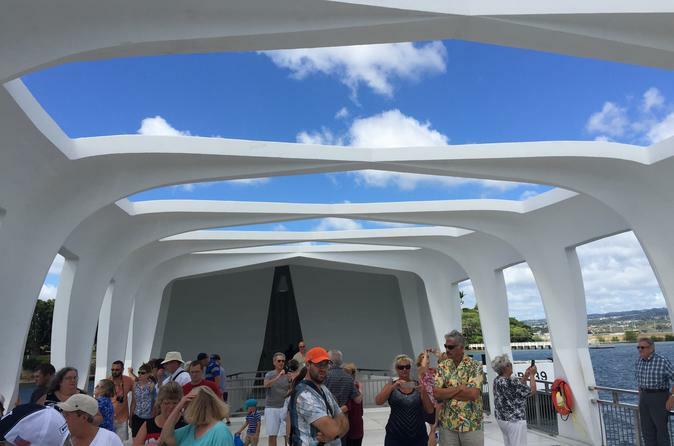 Once there, enjoy your skip-the-line access and begin exploring this fascinating site, learning about the history of Pearl Harbor and getting a vivid picture of what happened on that fateful day in December 1941. Get picked up at the port and driven in a comfortable car to Pearl Harbor. Sip on a cool, refreshing beverage and drink in the scenery as the car makes its way to the historical site for this half-day tour. Once there, meet a tour representative to get your tickets and listen to a brief orientation about the fun day ahead. Learn about the history of Pearl Harbor and watch historic film footage of that fateful day, when the Japanese attacked the harbor on December 7, 1941. And thanks to your skip-the-line tickets, you can breeze right past the line as you tour monuments such as the USS Arizona, the Road to War Museum and the Pearl Harbor Visitor's Center. When the tour is complete, hop back in the chauffeured car and head back to the port.